Is the main reason mainly because of the ingredients or materials become more expensive to produce thus, the manufacturers find alternative ways to produce products in lower costs so that, they can make higher profits? Four out of five bottles of 'Italian' olive oil are being adulterated with lower quality oil from other Mediterranean countries, a police investigation has discovered. With the global appetite for olive oil on the increase, unscrupulous producers are meeting the demand by mixing in cheaper oil from Greece, Spain, Morocco and Tunisia and passing it off as top-end extra virgin oil. Britain consumes around 28 million litres of olive oil a year – double the amount sold a decade ago. Half of all British households now regularly use olive oil, compared with a third a decade ago. Italian producers are not only conning consumers in lucrative overseas markets like the UK – the fake stuff is also being bought by unsuspecting Italians. The stakes are high – Italy is Europe's second largest producer of olive oil after Spain and the Italian olive oil sector is worth an estimated five billion euros a year. The fraud has been uncovered by an investigation involving the Italian customs service and police from the Guardia di Finanza, or fraud squad, with the encouragement of Coldiretti, one of the country's biggest agricultural organisations. The con is being perpetrated by what amounted to an "agro-mafia" of dishonest producers and manufacturers, Coldiretti said. "It involves 13 of the biggest olive oil producers – there are some very famous names," Stefano Masini, the organisation's spokesman, said. "We asked the authorities to intensify their checks in this sector and the investigation is only just beginning. It's going to be a long battle but it is essential because people need to be able to know the difference between genuine, top quality Italian oil and everything else." The fraud was being organised by a "cartel" of importing and distributing companies, Mr Masini said, most of them operating in central and southern Italy. Coldiretti has waged an aggressive campaign to crack down on food products that are fraudulently identified as Italian, often encased in packaging emblazoned with the red, white and green of the national flag. In the past its target has largely been foreign-made food and drink, such as 'mozzarella' made in the United States, 'pecorino' sheep's cheese produced in China and 'prosciutto' ham originating from Eastern Europe. But Italians are also active in misrepresenting their own food and drink, passing off mozzarella made from cow's milk as genuine buffalo mozzarella and adding low-quality grapes to some of the country's most famous red wines. Around 54,000 liters of Spanish olive oil have been seized by Italian police in the southern city of Salerno, the press agency AdnKronos reported. 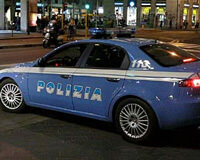 Police made the decision to impound the oil on Friday after learning that it was being falsely passed off as Italian. that read “Extra Virgin Olive Oil – 100% Spanish”. Although the names of the parties involved are yet to be revealed, the paperwork is said to have listed a company from the southern Puglia region as the sender of the oil which was then due to be delivered to a second company in the central Umbria region. Olive oil adulteration is taken seriously by Italian authorities. As one the world’s leading olive oil producers, it is also one of the hardest hit by olive oil fraud. In recent years illegal activities have been found to range from producers importing oil from countries such as Greece, Tunisia, and Spain and then re-labelling it as Italian oil, to labelling inferior oils as being ‘Extra Virgin’. There have also been cases where producers claim EU subsidies for growing olives on Italian soil when they have actually been produced elsewhere and imported. In 2008, Italy went to great lengths to protect the value of its oil with over 400 Italian police officers taking part in what was called ‘Operation Golden Oil’, a move designed to crack down on illegal activity within the Italian industry. ‘Golden Oil’ led to the arrest of 23 people and the confiscation of 85 farms in connection with the country’s fraudulent olive oil trade with further arrests taking place in the following months. 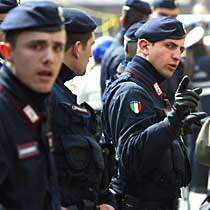 Italy has specifically trained police officers to help fight against producers who attempt to benefit from fraudulent association with Italian olive oil. The officers, all from the specialist food piracy branch of Italy’s paramilitary Carabinieri and trained intensively by the national olive oil association, are able not only to distinguish between high quality extra virgin oil and diluted poorer quality oil, but are also able to detect the subtle differences in oils produced in different regions of Italy and abroad. More recently, a consortium has begun certifying many extra virgin olive oils as “I.O.O%” (the letters stand for Italian Olive Oil) which seeks to establish the procedures for production, storage, marketing of a high quality extra virgin Italian olive oil.